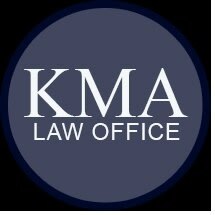 The KMA Law Office in Severna Park, Maryland, provides big-firm services with the personal attention of a small firm. Attorney and firm founder Karen Authement prides herself on providing one-on-one, individualized representation. She handles all aspects of her clients' cases and remains accessible throughout the entire legal process. Following an accident, victims of negligence need immediate and aggressive legal representation. Physical injuries are compounded by stress. Insurance companies want quick settlements. Medical bills increase with collectors demanding payment. The KMA Law Office is experienced in dealing with insurance adjusters to stop delays and find resolution. The goal of the insurer is to downplay the severity of the injury and minimize compensation. The focus is on recovering maximum monetary compensation that allows injured clients and families to move on. With a focus on quality legal representation and efficient service to save you money, the KMA Law Office will employ resources and strategies to secure the best outcome on your behalf. The end of a marriage brings together legal complexities and emotionally charged issues in drafting divorce/separation agreements. Divorce can be financially devastating as one household becomes two. Division of marital property that involves complex, high-value assets, including family-owned businesses, requires a lawyer with in-depth knowledge of Maryland laws that govern this important and highly contentious area of divorce. The Severna Park-based KMA Law Office offers a free initial consultation for all personal injury claims and reduced-rate consultations for all the other areas of practice. All major credit cards are accepted. Evening and weekend appointments are available at the office or a client's home or hospital room.